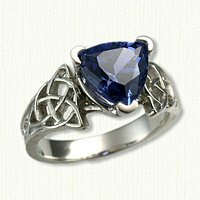 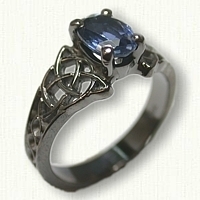 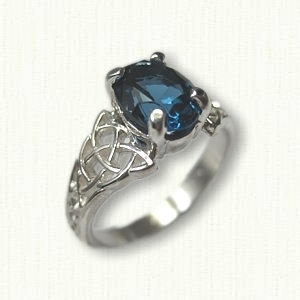 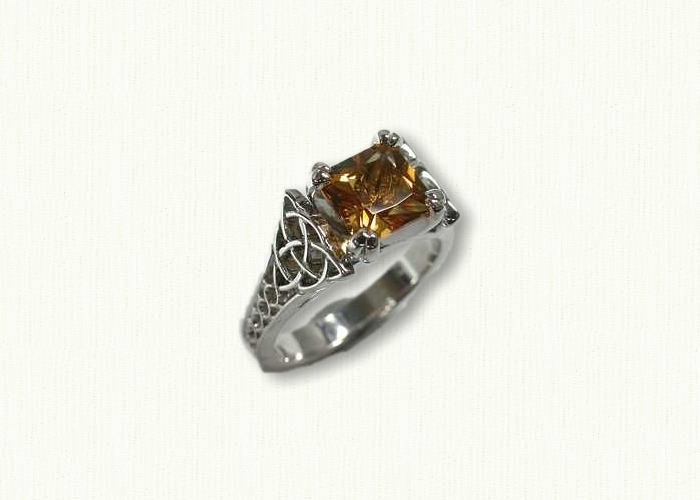 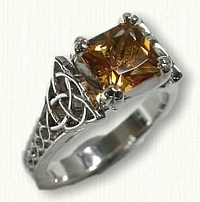 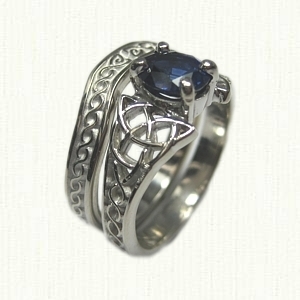 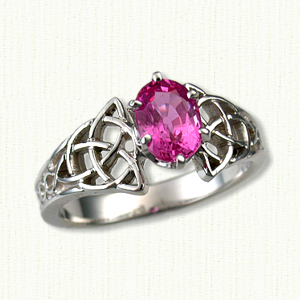 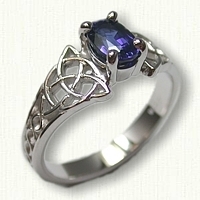 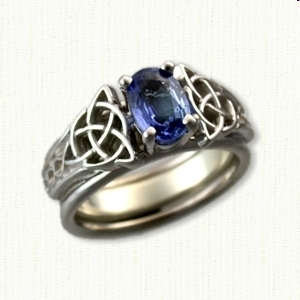 Custom Celtic Engagement Rings - custom celtic engagement rings with gemstones, diamonds @ best prices! 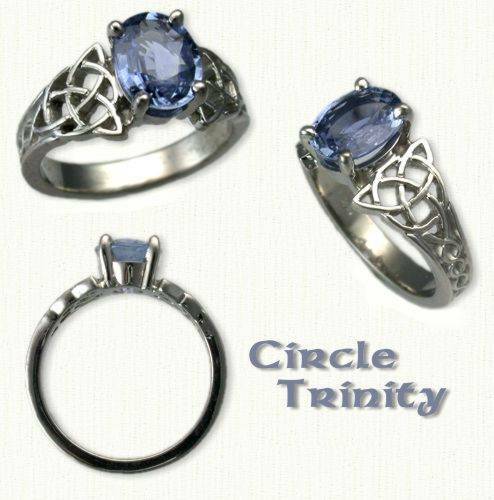 Description: The 'Celtic Circle Trinity' #FB07074A is a partially pierced simple mounting with knot work on the tapered shank. 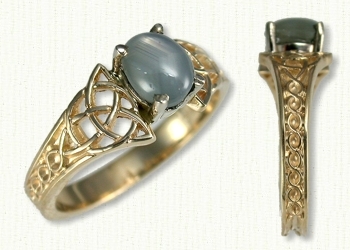 We offer this with most any shape, color and size center stone - Available in 14kt, 18kt and platinum (pricing). 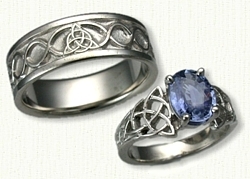 Optional finishes for 14kt and 18kt include 18kt yellow gold electroplate or white rhodium and are at an additional fee.